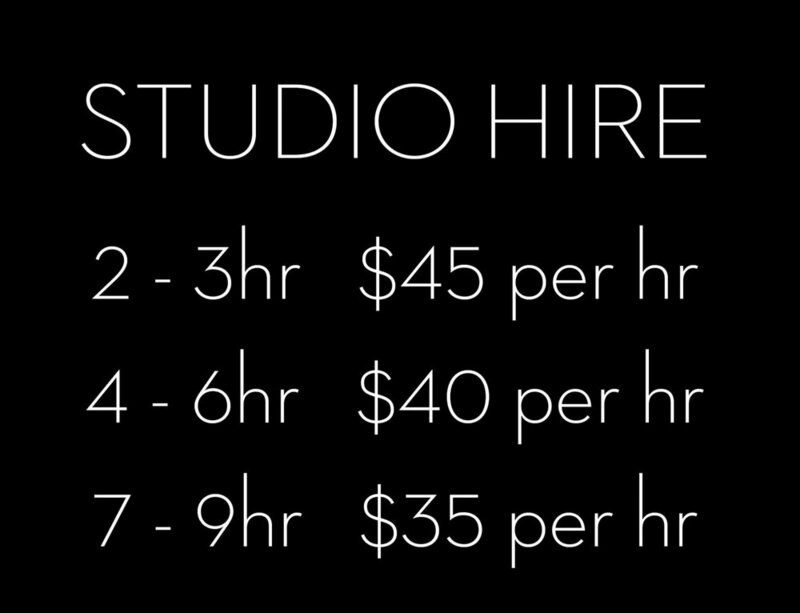 Monday - Thursday Studio Hire 2hr for $50. See calendar above for availability. Our private 200m2 light filled studio comprises 3 areas. A large, vibrant room ideal for conducting workshops. Included for use: 30 yoga mats, 20 bolsters, 20 blankets, 50 blocks, straps, pillows, 60 folding chairs and 4 large multi-purpose tables. The perfect area for facilitating introductions. Included for use: Change rooms, desk, and seating. *Note: Bi-fold doors between the Practice and Reception are opened to create one continuous space. The Kitchen / Prep Area - 7m x 4m (28m2). Conveniently located at the rear of the venue. Included for use: Oven, fridge, workbench, sink, tables. The space has 2 toilets. Setup and pack up time must be included in the total hire time. We supply a vacuum, broom, mop and general cleaning products and ask that hirers return the space in the same standard of cleanliness as received at the commencement of hire. Cleaning can be arranged for an additional fee. A 50% cancellation fee applies if the hire of the venue is cancelled within 1 month of a confirmed hiring date. Need some more details? Fill out the form and we'll get back to you within 48 hours. When are you interested in hiring the space?